Kingston University supports calls for a new visa to allow international students to gain work experience for up to two years after graduating. Universities UK, which is the voice of 137 universities across England, Wales, Scotland and Northern Ireland, proposed a new Global Graduate Talent visa where universities would support international students in searching for jobs and finding work opportunities in the UK for up to two years. A Kingston University spokesperson said: “Introducing the graduate visa would provide greater opportunities for students from around the world to hone their professional skills and knowledge after completing their degrees while making an important contribution to both the regional and national economy. In 2012, the government removed the post-study work visa which allowed international students to stay in the UK and work for two additional years after graduating because of migration issues. At that time, the National Audit Office found that almost 50,000 people entered the UK to work through student visas and the government wanted to impose stricter rules to eliminate abuse within the system. The President of the International Student Society at Kingston University, Feisal Haji, said: “We don’t need a new visa, we need the old one. International students are vital to our education system and to British students. 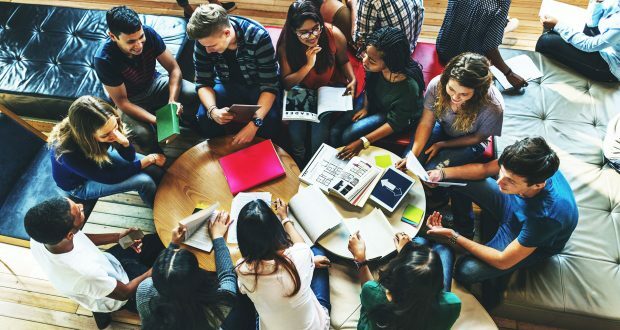 “Unfortunately, the vast majority don’t understand that international students have always been used as a guinea pig and have gone through such treatment. Students outside the European Economic Area and Switzerland need a visa to study in the UK and must be aged 16 or over. The first option is a short-term visa, which is offered for research purposes or a short course and it costs £97 for a six-month stay in the UK or £186 for an 11 month visa. A general student visa, Tier 4, costs £348 and is offered if you have secured a place on a course at university, can speak, read and write in English and have enough money to support the costs of living and studying. Maryam Al Ansari, third-year criminology and psychology student, 21, is from Qatar and holds a Tier 4 general student visa. She said: “I think it is hard for international students to find a job as most employers prefer EU candidates as they do not need a visa and it will be a less hassle to support them. Kamilla Sultanova, third-year media and communications student, 21, is from Uzbekistan and also holds a Tier 4 general student visa. She said: “I believe it is unfair that we have just a few months to stay here once we graduate. Once the visa application is approved, international students receive a Biometric Residence Permit which acts as proof of identity, right to study or work in the UK and right to any public services or benefits. Haji said: “Visas, unfortunately, are an issue for students in my society. They have the assumption that they need to carry their BRP card all the time and are also afraid of losing it. A report by Universities UK showed that in 2007-08 14.8 per cent of students were from non-UK domiciles. There was an increase in 2016-17 with 19.1 per cent of students being international. The data also revealed that the number of European students was affected in 2012-13, with a fall of 13.3 per cent, by the increase of university fees in England which occurred in that period. Universities UK’s 2018 facts and figures found that international enrolments are growing at a faster rate in the United States, France, Germany and Australia than in the UK. The President of Universities UK, Professor Dame Janet Beer, said: “This improved post-study visa would put us on a par with what is offered by countries such as the US, Canada and Australia. “It would send a more welcoming message to international students and signal that the UK is open to talented individuals from around the world.